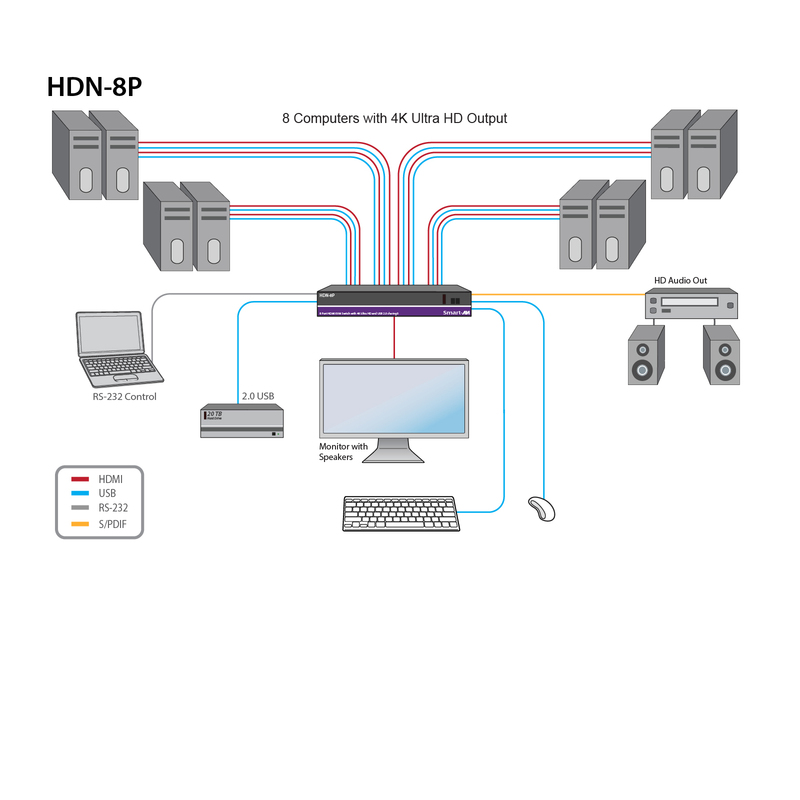 HDN-8P is a dedicated multi-platform KVM switch capable of managing eight computers through a single HDMI monitor, USB keyboard, USB mouse, and other USB 2.0 devices. This is the first KVM switch on the market that features support for 4K Ultra HD (3840x2160 @30Hz or 4Kx2K @60Hz YUV4:2:0) workstations. The device also features SmartPreview technology, which enables simultaneous picture-in-picture monitoring of the other sources connected to the switch. 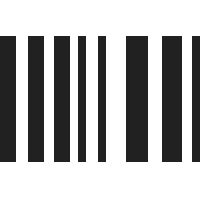 This helpful technology allows users to keep tabs on the other connected workstations without constantly needing to switch back and forth. The USB emulation technology utilized by HDN-8P enables immediate hot key source switching through a remote USB keyboard and mouse. HDN-8P is HDMI 1.4 and HDCP compliant, which supports 4K Ultra HD resolutions and 12-bit deep color at 1080p @60Hz. RS-232 control and front panel switching are supported. The switch also transmits digital audio. Answer: Thank you for your inquiry. Generally no, you cannot simply divide the video inputs to this device. Certain KVM switches will allow you to cascade multiple switches together to attach more servers, but this device is limited to 8 devices. For additional recommendations, please reach out to your KVM Switches Online representative at 1-877-586-6654 or via our online chat to discuss your project in greater detail. Question: I will try to explain my needs. I need a KVM combiner to see some devices. These devices has an output video to 60Hz 2K on Display Port and classic usb mouse and keyboard but the bottleneck are 60Hz of the video frame. I check your device and I found these devices: 8-Port 4K Ultra HD KVM Switch with USB 2.0 Sharing is perfect but I not get if with this I can subdivide the main video output in more frame for each device. Unfortunately I have to see many device on main display. Can you help to understand if you have a device for my job? The Display Port is not a problem because I could design a DP -> HDMI converter with STDP2650 chip.